The owner purchased our salvage yard in early 2008 to help store cars from our 24 hour towing business. In the very beginning we were only selling two or three parts weekly. In October of 2008 we got our inventory system up and running. In order to expand our market we've added Ebay, Facebook and Car-Part.com to our parts marketing strategy. We ship parts all over the United States and occasionally Canada. 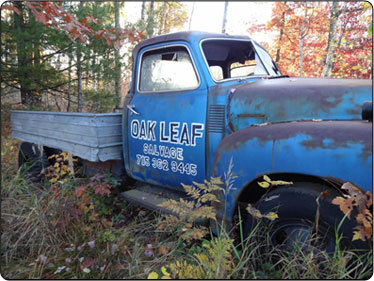 Our priority is to stand out from the "junk yard" image people have of our industry. We make customer service our top priority and strive to help our customers quickly and efficiently. We have a nationwide network of used parts that we can draw from. If we do not have the part in stock chances are we can find it. We are constantly expanding by trying to broaden the range of makes and models to purchase and part out. In the past we dealt mainly with Subaru but are now taking a different approach in order to provide quality parts for a larger group of car/truck communities. The metal recycling side of the business has been a little more difficult to track and understand. We started getting more aggressive buying metal in the spring of 2010. The difficulty we have struggled through are the number of "middle men" that have their hand in the final margin of what we can sell the metal for. It's no secret the areas that pay the most for scrap metal are located near a foundry or located near a port / railroad and usually near a very populated area. Our biggest hurdle has been being able to pay a high enough price to our local customers to keep them from driving an hour south to get the next best price. The biggest step we have taken to be able to pay more has been installing a drive on scale. When we handle the metal less it helps brings our cost down and lets us pay more. As we continue to grow our hope is that our local area residents recognize we are paying the most we can and still keep a profitable business. Thanks for taking time to learn about who we are. Please take a moment to visit our facebook page and send us any comments you may have.